This book explores a universal question of human social order: Under what circumstances and to what extent is the individual to be held morally responsible for collective events? This question reaches far beyond the intentions and actions of a particular business enterprise, state or a similar large-scale collective. The philosopher Wolfgang Sohst (Berlin, Germany) investigates the subject with unprecedented thoroughness, covering the whole range of contemporary discussion on this subject. He provides a detailed analysis of the functions of individual members in such a collective, the structural prerequisites for them to be held responsible for acts which they have not directly committed themselves and the transmission of responsibility even to successor generations of the perpetrators collective. 4.1 Are corporate actors also morally responsible? 172 pages, 8 illustrations / Hardcover. This book was originally pubished at xenomoi in German as the second contribution in: Bernhard Sutor / Wolfgang Sohst: "Politische Ethik und Kollektive Verantwortung". 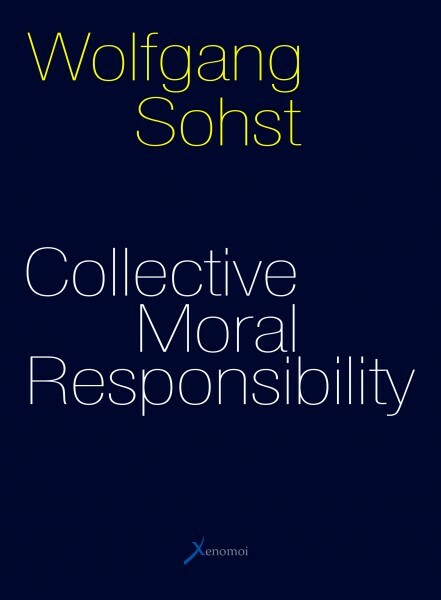 Weiterführende Links zu "Collective Moral Responsibility"
Kundenbewertungen für "Collective Moral Responsibility"